Photographs. 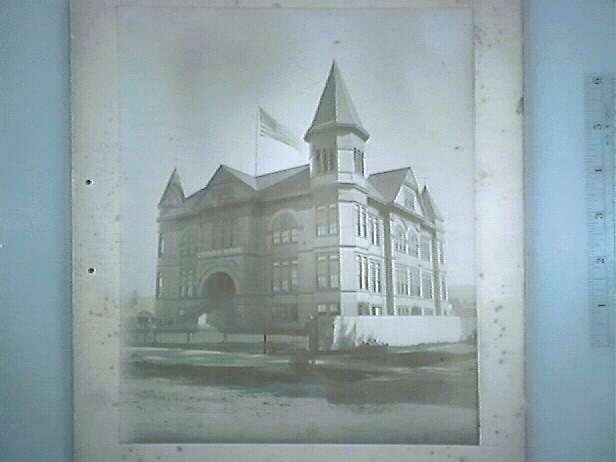 Description: Black and white photographs on beige matting of the new Bay Public School (built 1892). a: Exterior of school, newspaper clipping glued to back with photographs and information regarding sale of the old Bay Public School building. Condition: Good, all matting slightly worn and shows foxing - (except 'D'). 25 x 30 cm. (Photo and article about Bay Public School and Golden Gate School, located at 62nd & San Pablo Ave.) Remarks: Collection of photographs, artifacts from three generations of Klinkner Family History of Golden Gate Elementary School (P.Lau, 8/2002) Golden Gate Elementary School, located at 62nd and San Pablo Ave., was built in 1890. Bay Public school (its original name) was annexed to the Oakland system in 1897, and became Bay Junior High school in 1920. A new brick building was built in 1922, but it was found necessary to reconstruct it in 1928 on account of the earthquake hazard. 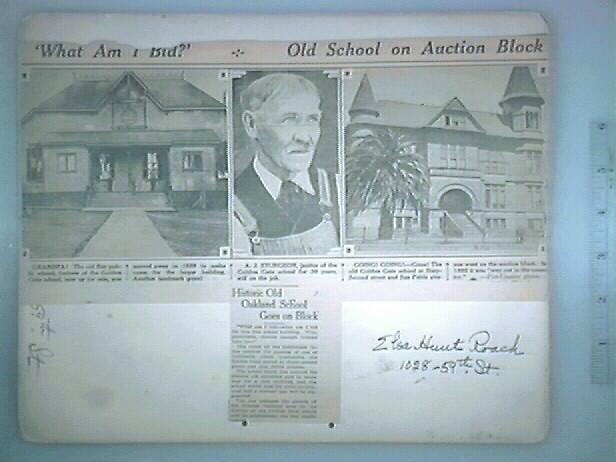 In 1921, the name was changed to Golden Gate Elementary School.